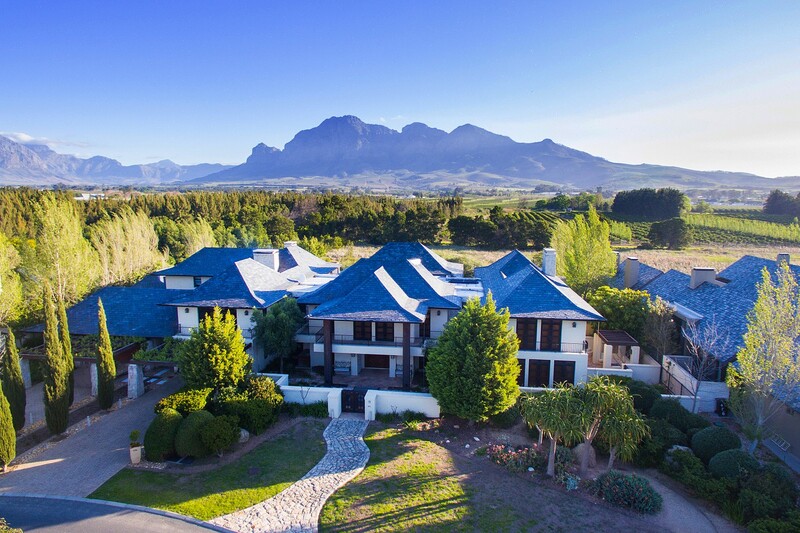 One-of-a-kind Magnificence in Pearl Valley at Val de Vie Estate Cape Winelands Properties are proud to have been appointed to exclusively market this magnificent property in Pearl Valley at Val de Vie Estate. 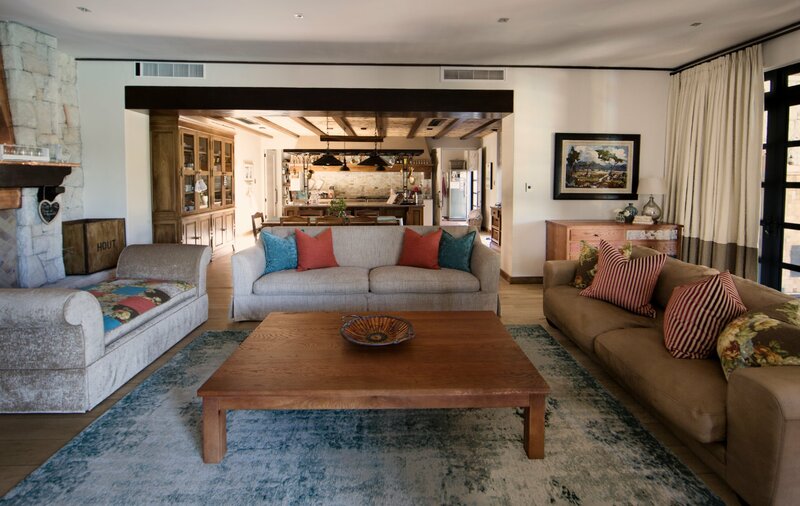 This luxury villa of palatial proportions sits on a double stand surrounded by a magical garden with lush lawns and dramatic, jaw-dropping mountain scenery. 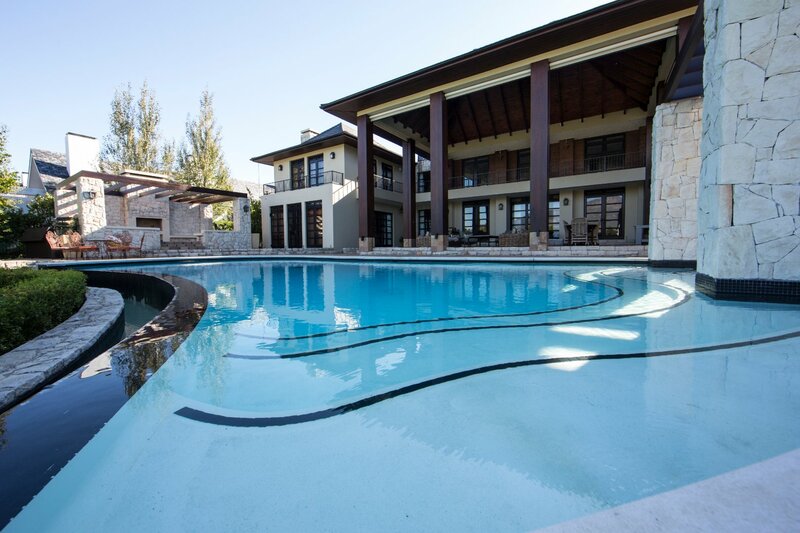 This distinctive home has been designed with perfect flow in mind with its generous, multiple entertainment areas surrounding a beautiful, spacious double-volume covered patio overlooking the crystal pool, the orchards, vineyard and spectacular mountains beyond. 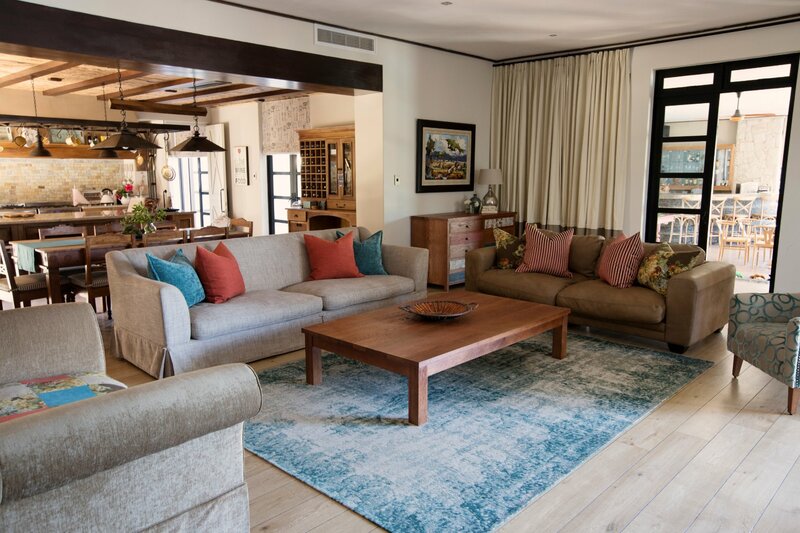 As you enter the home, the high quality and class that this home exudes are impressive. 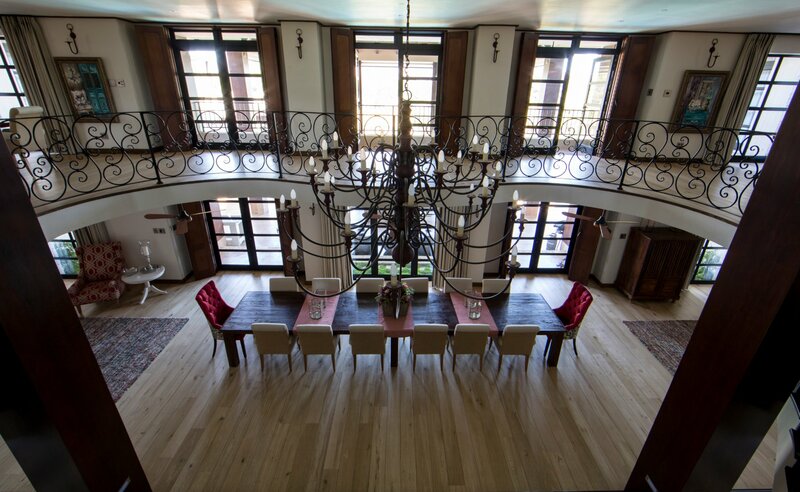 From the entrance with chequerboard marble floors leading to two identical black marble staircases, to the intimate wine cellar and exquisite Ambiente Luce light fittings with dimmers, this home is full of interesting and highly unique features. 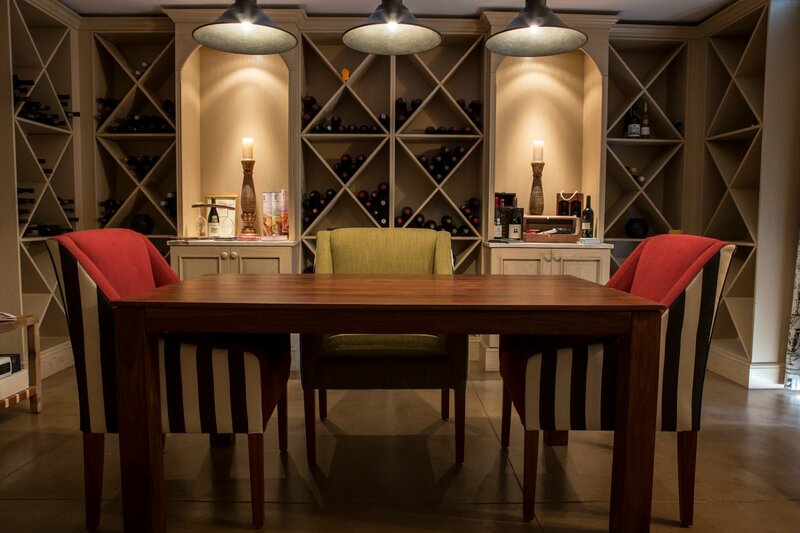 On the ground floor you will be greeted by a striking entrance flanked by an absolutely beautiful guest cloakroom, tastefully designed wine cellar and a fitted study, leading to the spacious dining-room which easily accommodates an 18-seater table, through to a formal lounge with fireplace. 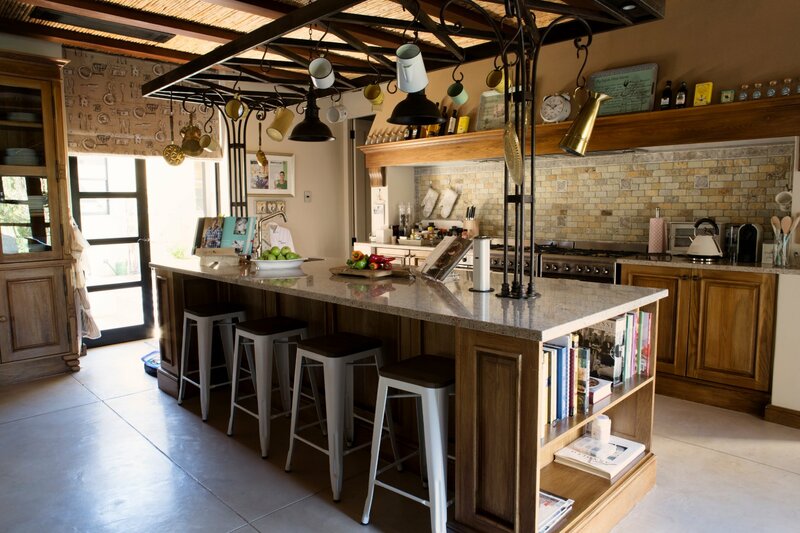 The stunning country-style kitchen is open plan to a comfortable TV lounge, which flows to an enormous games room/indoor braai room/bar with gorgeous views and opens to the patio and pool area. 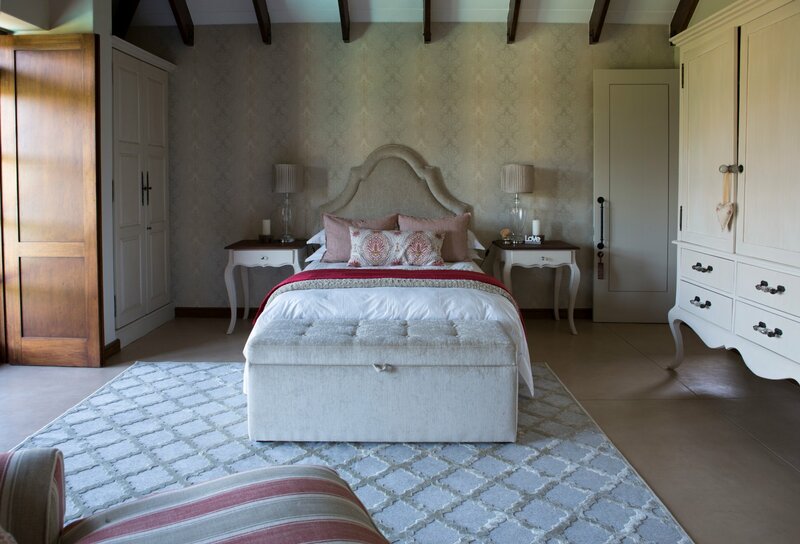 One spacious en-suite guest bedroom which has its own patio with water features, and a separate flatlet with its own entrance are also on the ground floor. There is garage space for 4 cars with multiple storage areas, an office, a tool/wood room and an ironing/linen room, as well as off-street parking for at least 12 more vehicles. Stroll outside through the private herb garden or enjoy the many water features, patios and balconies around the house. Walking up the beautiful marble staircases you are in awe of the luxury and space that greets you upstairs. 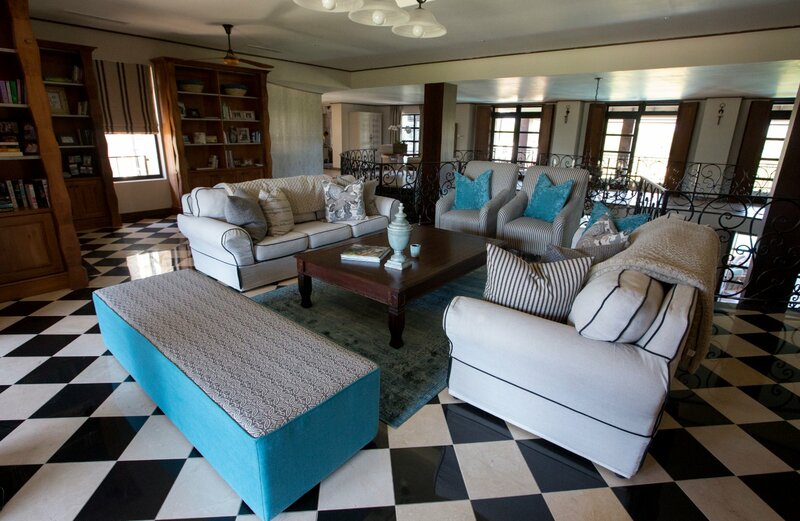 A TV lounge with gorgeous chequerboard marble floor and fitted solid wood units nestles behind the beautiful balustrade. Two opposite areas are ideal as an additional dining, reading or study space. 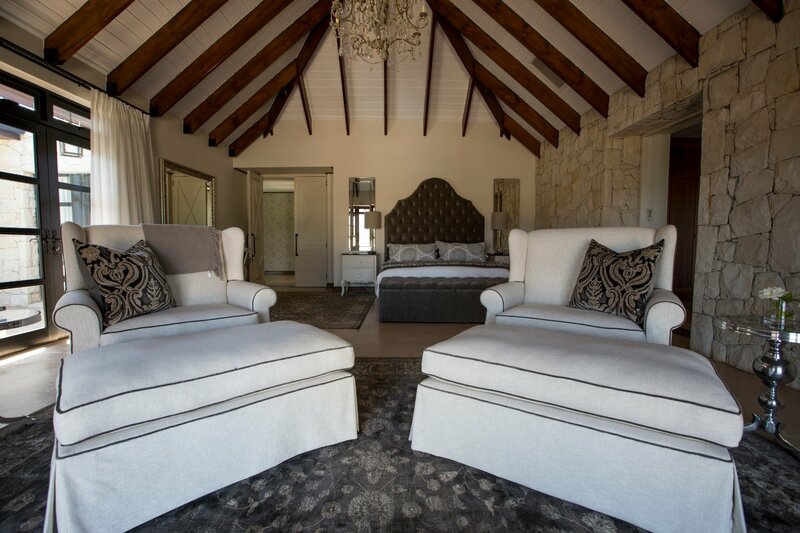 The magnificent master bedroom opens to an extremely large balcony with a staircase leading to the garden and has truly magnificent views over the pool, gardens, orchards and mountains. 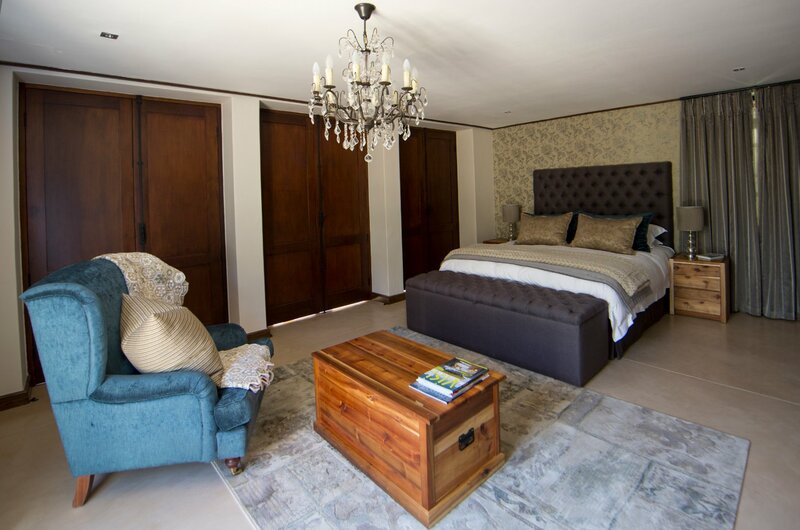 The spacious dressing room is fitted with solid wood built-in cupboards and the enormous master bathroom is just sheer indulgence, and both have exquisite chandeliers. Upstairs there are three more enormous bedrooms all with highly unique en-suite bathrooms and an additional study. 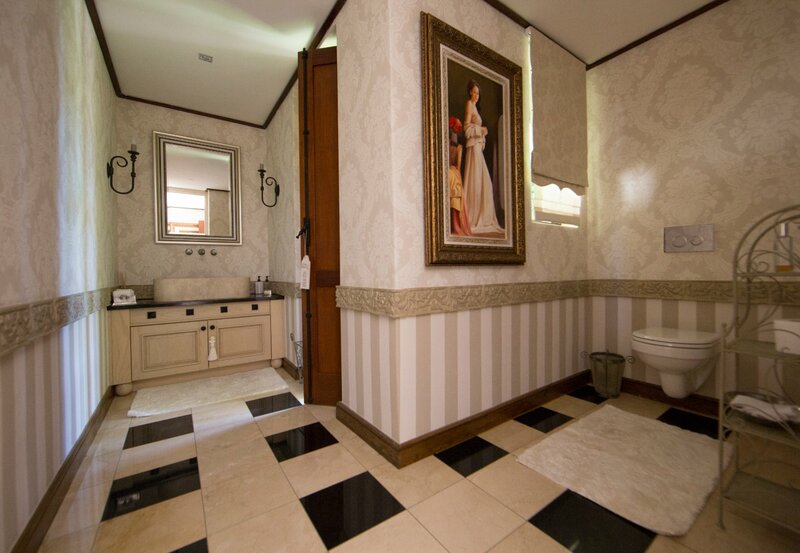 This truly is a luxury home of stature for the discerning buyer and needs to be seen! 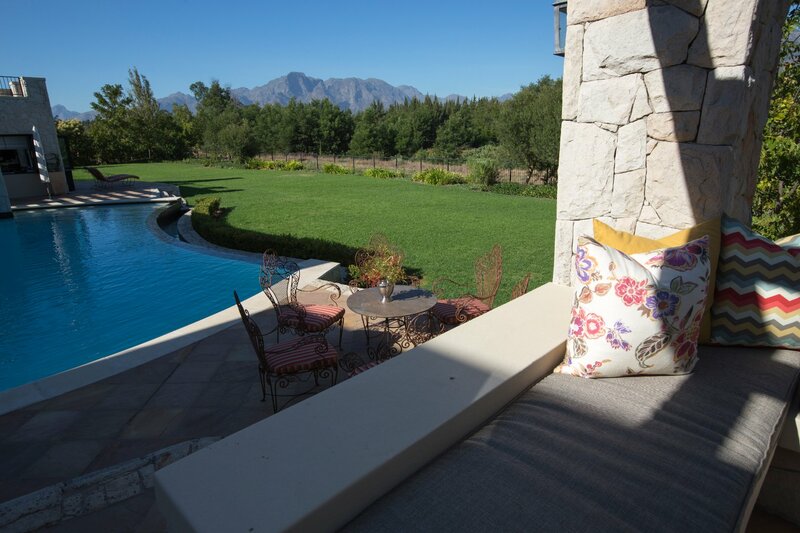 Voted the Top Residential Estate in South Africa for 2015 ,2016 and 2017, offering world-class security, Pearl Valley at Val de Vie Estate is ideally situated between Paarl and Franschhoek with spectacular mountain views, world-class security and offers an exceptional country lifestyle. 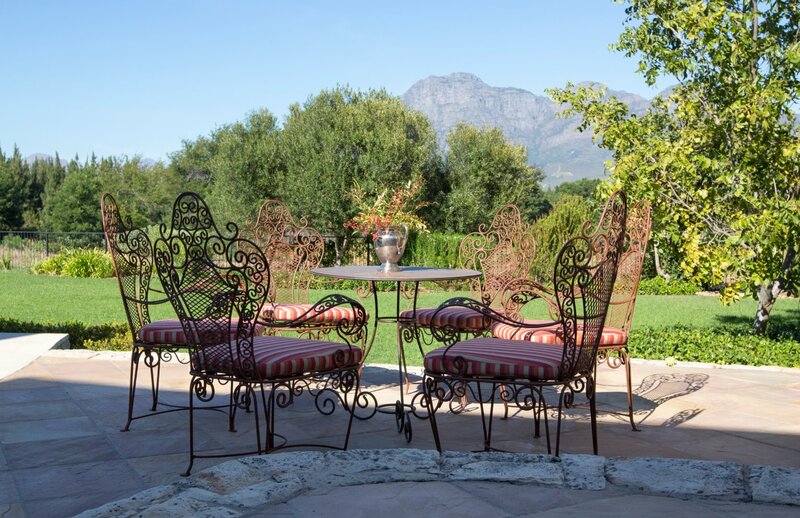 The estate boasts the award-winning Jack Nicklaus Signature golf course with many world-class facilities such as multiple swimming pools, tennis courts, gyms, squash courts, running and cycling trails, winery, coffee roastery, horse-riding, polo and restaurants. 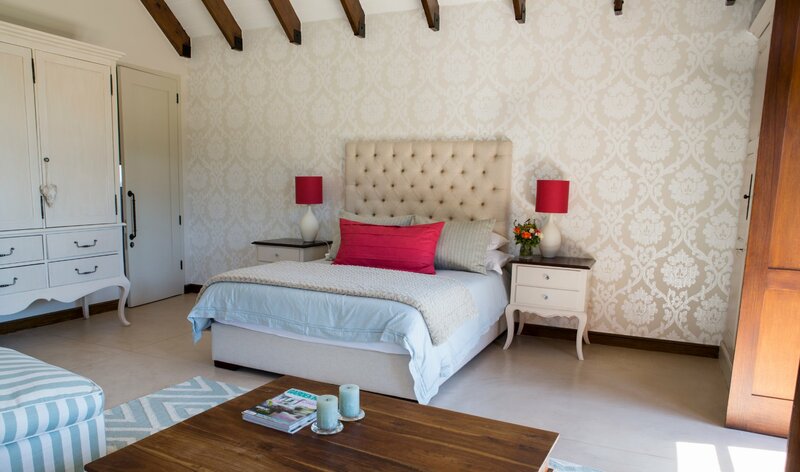 Only 40 minutes’ drive from Cape Town City Centre and the International Airport, close to many excellent schools and the acclaimed Stellenbosch University.